Guizot’s will, drafted in December 1873, begins thus: “I am dying within the bosom of the Christian Reformed Church of France, where I was born and where I am very glad to have been born”. The adjective “Christian” which is not part of the official title, shows that Guizot, if he felt he was protestant by his personal affinities, thought of himself first and foremost as Christian. For him, union took precedence over the distinction. Protestantism came to him from both sides of his family, with two noteworthy figures: his grandfather Jean Guizot (1729-1766) whom he had not known, a pastor in the “Désert”, i.e. 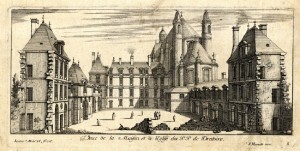 the clandestinity imposed upon the protestants by the Edict of Fontainebleau in 1685, and his mother Elisabeth Bonicel, whose demanding and austere piety, in the Huguenot tradition, remained with him for most of his life. His adolescent years spent in Geneva, the city of Calvin to whom he dedicated a monography in 1822, rewritten and lengthened in 1869, broadened his spiritual horizons. On returning to Paris, in 1806 he even joined the Masonic lodge Le Phénix, of Scottish rite, in which was blowing the new spirit of the Réveil, the regeneration movement of Protestantism coming from England via Switzerland. Without adhering to its overly sentimental and fideist aspects, Guizot was influenced by it, notably the central place of the Bible in the foundation and practice of religious faith. This renewal was present in many associations of which Guizot was soon to become a member and over which he sometimes presided: The Society for the encouragement of primary schooling amongst the protestants of France (1817), Protestant biblical society of Paris (1818), Protestant society of assistance and mutual help (1825), Moral Christian Society ((1821), where liberal Christians from high society used to meet. From 1815, he was a member of the consistory of the Paris Reformed Church, and remained so until his death. Attending church went side by side with a commitment to charitable institutions. 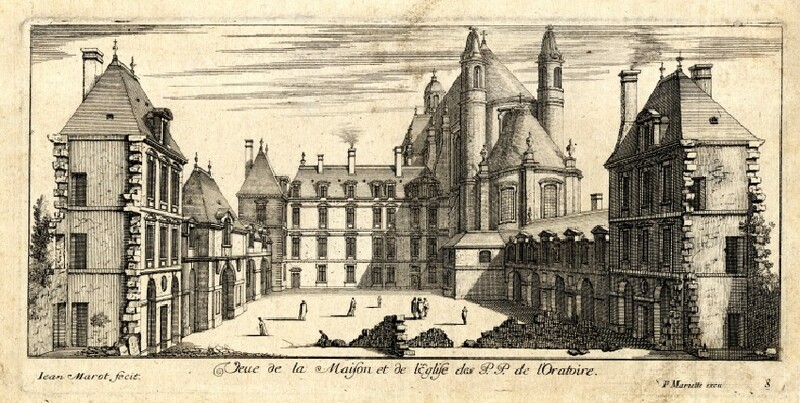 Both his weddings were celebrated in the Church of the Oratory of the Louvre – and also in the Madeleine Church for both his wives were of Catholic origin – all five of his children were baptized protestant and the three who survived married in the church with staunch Protestants. In Paris, they never missed Sunday service, the choice of church depending upon the quality of the preacher. At Val-Richer, there was Bible reading and prayer every day and a service at home on Sunday. And regularly, gifts to charities. However, within protestant circles, Guizot was far from receiving unanimous support. The main criticism was directed towards his attitude, judged too accommodating or even complacent to Catholicism in general and the Roman Church in particular. In fact, as a historian, he was aware that Catholicism had been, was and always would remain in France the overwhelmingly predominant religion within Christianity. Given this, he believed as a Christian that all Christians, over and above their legitimate differences, had to unite against mounting forces of materialism and atheism, which were fomenting social anarchy. He wrote in June 1838: “France will not become protestant. Protestantism will not die in France (…). It is not between Catholicism and Protestantism that the struggle for ideas and empire is taking place. Impiety, immorality, these are the enemy which they both have to fight. Reviving religious life, this is the work to which they must devote themselves.” The first sentence in particular provoked strong reactions among Guizot’s fellow protestants, for in his government actions he sometimes gave the impression that he favoured Catholics, for example by supporting their missionaries in Tahiti against the protestant missionaries from London, or the Swiss catholic cantons of the Sonderbund against the Berne government. In order to make the Roman church evolve, Guizot’s idea was to support the most enlightened fraction of Catholics, i.e. the liberals embodied by Montalembert, with whom he built a wonderful friendship, and Lacordaire. 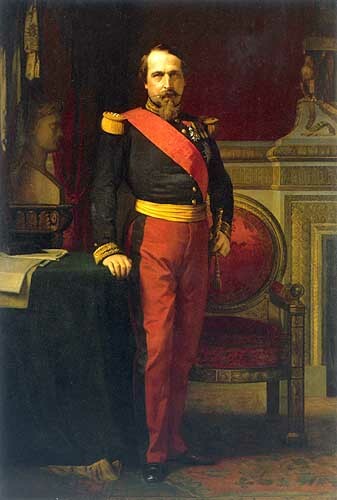 By receiving the Dominican at the Académie française in January 1861, he unleashed a scandal within the protestant community: he proclaimed he was in favour of the temporal power of the Pope, threatened at that time by the Italian unitary movement. He explained his reasoning more fully in a work published in October, L’Eglise et la société chrétiennes en 1861, (the Church and Christian society in 1861) without yielding his position: it was necessary to take the Catholic Church as it is, defend its freedom and join with it against the forces of evil, whilst hoping that it would change. 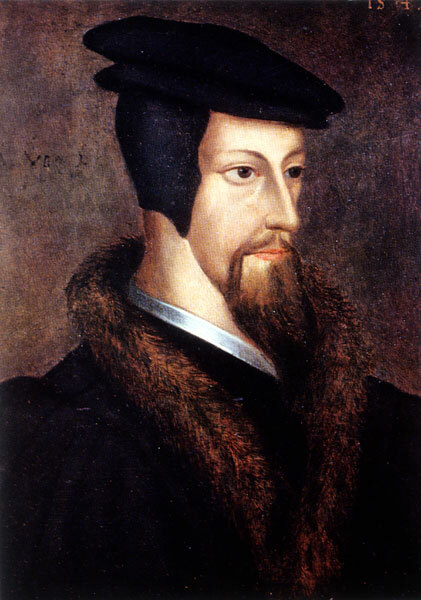 Almost no one in the protestant world followed him in this reasoning, which appeared more to serve order – domestic and European – than the Evangelical faith. Within the Reformed Church, his positions were as concerned with political and social preoccupations as with religious ones. The liberals, who integrate scientific knowledge into theology and exegesis and who believe that individual conscience is the only judge when it comes to faith, were increasingly opposed to the orthodox or evangelicals, for whom the Scripture is the supreme source of Christian truth and who believe that the Reformed Church must be organized by a common confession of faith and discipline. Guizot was the most prominent figure of this camp, which formed the majority. The liberals railed against him personally, denouncing “the Pope of the Protestants” and attempting to defeat him in the elections to the Presbyteral Council of Paris in 1865. The orthodox thinkers were victorious in the end, but the conflict between the two factions of the Reformed church left marks, of which the Synod of 1872, refused by the liberals, revealed the depths. Guizot was therefore seen as an untypical protestant. His very beliefs are difficult to define. They have been described as “minimum of Christianity”, as “up in the air religion”. For him, reason holds religion at a distance, placing it in another sphere. In his understanding of history, God does not intervene as a primary cause. He thus wrote in 1853: “In our personal destiny as in that of the world, I know neither the reason nor the ways of God.” A disciple of Calvin , he nevertheless rejected predestination, and nowhere gave his opinion on the presence of Christ in the communion, nor on the question of grace. In the three volumes of Méditations sur la religion chrétienne which he published between 1864 and 1868, he made belief in the supernatural the corner stone of Christianity, and defined five dogma which are its illustration: the creation, providence, original sin, incarnation and redemption. But the Trinity, which is the foundation of the Christian religion, is not mentioned: as if Guizot, a poor theologian, restricted himself to noting the mysteries and bowed down before them without attempting to penetrate them. His robust soul was drawn neither towards exaltation, fervour, nor disquiet. “In my soul’s relationship with God”, he wrote in 1853, “I have never felt the need for an intermediary; in joy or in sadness, to give thanks or to implore help, I address Him directly, spontaneously; I live with Him in the most humble intimacy, I dare say it, but in an intimacy which is immediate and confident”.